This entry was posted on June 24, 2014 by Goplasticpallets. 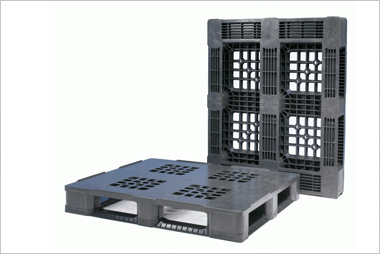 The UK Food Standards Agency’s (FSA) Food Safety Week on June 16-22 served as a perfect opportunity for Goplasticpallets.com to remind manufacturers of its longstanding commitment to supply superior hygienic pallets to the food and drink industry. This year, the FSA’s campaign focused on protecting consumers from food poisoning, which affects as many as 5.5 million people in the UK every year. Microorganisms can be introduced at any point in the food supply chain and are invisible to the naked eye, which is why it’s vitally important for food manufacturers to source the most hygienic pallets for handling and transporting their products. 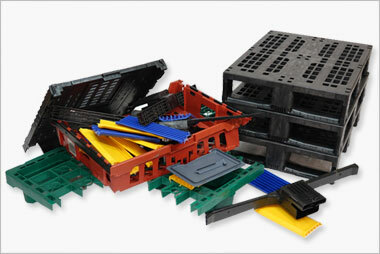 Jim Hardisty, Managing Director of Goplasticpallets.com, the UK’s leading independent supplier of plastic pallets, said: “Food hygiene scares present a massive threat to food manufacturers, not only in terms of the financial impact, but also in the damaging effect they can have on a company’s brand. “In recent years, there’s been much debate about whether wooden pallets are suitable for transporting raw materials and food products. In scientific tests conducted several years ago, harmful foodborne pathogens were found on a large number of wooden pallets stored behind grocery stores1, and research such as this has encouraged a greater number of manufacturers to look at more hygienic alternatives. 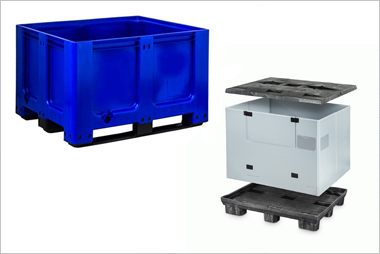 “Although all plastic pallets are hygienic when compared to traditional wooden pallets, for handling food products, there are many advantages to using our IPS Hygienic pallet, which is fully compliant with EU safety legislation and can be used by food businesses as part of an HACCP plan. 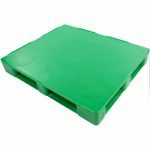 Goplasticpallets.com’s IPS Hygienic pallet is manufactured from coloured virgin HDPE and is available in two sizes – 1,200 x 800mm and 1,200 x 1,000mm. 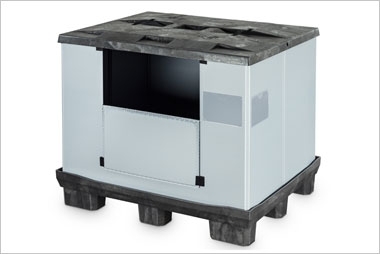 It is a fully closed pallet with smooth, sealed surfaces and no cavities where dirt or dust can accumulate, so it remains contaminant-free. It can be easily cleaned manually or with an automated system, as it doesn’t absorb moisture – even under the most adverse conditions – and is tolerant of both weak acids and alkalis. 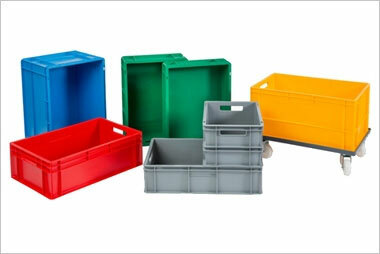 The IPS Hygienic pallet comes in seven single colours as standard and, for orders of 500 units or more, there are 84 two-colour options. To order a sample or request a quote, call us on 01323 744057 or complete our enquiry form.